How old can you be to enter the attraction unaccompanied? Are there any restrictions with an Adult and Toddler ticket? Is SEA LIFE Birmingham suitable for children? Why do you not have a child rate? We understand that families come in all shapes and sizes and want to accommodate for the modern family.  This allows guests to make flexible choices when purchasing tickets to SEA LIFE Birmingham. Is the price the same for adults and children?